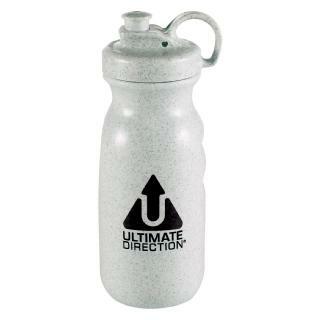 Soft sided water bottle that can be collapsed as it empties. This eliminates the sloshing sounds of any trapped air in the bottle. 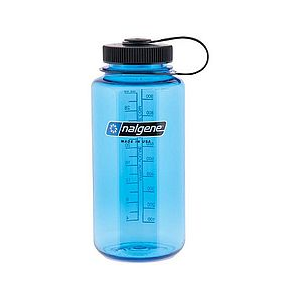 If you hate the sound of sloshing in your water bottles, this product is for you. The walls of the water bottle are constructed from plastic similar to what is used for hydration reservoirs. 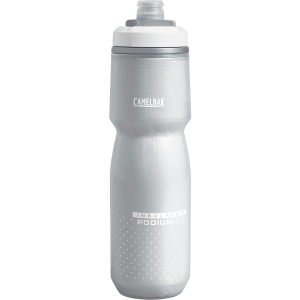 The result is a pliable bottle that is only as big as the amount of liquid it contains (up to 17 oz). 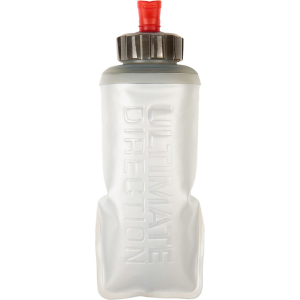 I run with a small hydration pack that has two pockets up front that I use to carry water bottles. My old, hard plastic bottles would dig into my ribs and the sound of water sloshing around got annoying after a few hours of running. Not only have my runs become quieter with these bottles, but I also like that the size of the bottle shrinks as I continue to drink. You can keep the bottle full sized if you prefer. You just need to blow air into it and the bottle will stay inflated with a rigid wall. I haven't had any issues with leakage or holes in the plastic. Prior to these bottles I used a couple of similar bottles purchased at REI that were equally durable. Both these UD bottles and the REI bottles are manufactured by Hydrapak, a company known for their robust hydration reservoirs. They also manufacture a version of this bottle for their own product line. Thanks for the review, Jeff. I've been meaning to give some of the softer bottles a try on my runs. 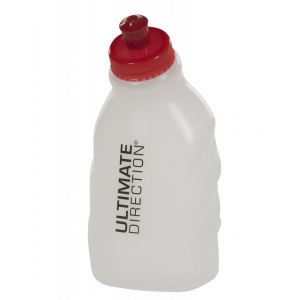 The Ultimate Direction Body Bottle 500+ is not available from the stores we monitor. It was last seen June 28, 2018	at CampSaver.com.